The APS Times, our yearly newspaper, is out in its 2016 edition. 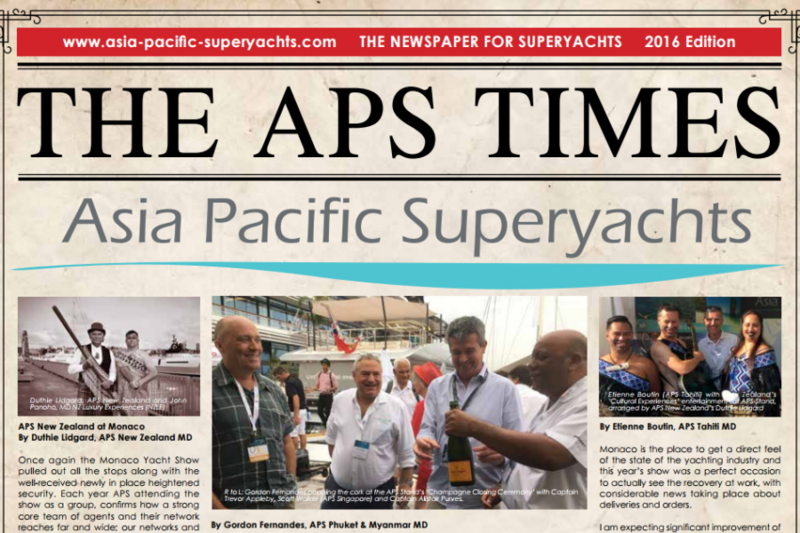 The articles in this year's edition report about our presence at the Monaco Yacht Show 2016, the coming Asia Superyacht Rendezvous in Phuket from 16th to 18th December and brings lots of news and insights from our agents all over the South-east Asian regions. If you could not get your hands on the printed edition feel free to download your own electronic copy here.